Jeannie McCarron is currently the Director of Higher Education at CAEL and serves on the Executive Board for CAP. She'll join us as a featured speaker at the 2018 CAEL International Conference in Cleveland, which runs from November 13 to 16. CAP officially joined CAEL on July 1, 2018. I had the wondrous opportunity to work with accelerated program leaders, administrators and faculty when I served as Director of the Council for Accelerated Programs (CAP) for almost 12 years. I was continually struck by the sheer tenacity of this group—a group of resilient professionals whose work was often viewed as “lesser quality” compared to those working in traditional programs. I watched this group hold firm in their beliefs that these programs were of the highest possible quality and served a population of learners who needed this format to achieve their goals and earn the credentials they deeply desired. Although there were times of enhanced scrutiny due to new regulations and a focus on the credit hour and Carnegie Unit, this team of warriors held steadfast and kept going, improving, serving. These professionals kept their eye on the ball and kept playing—and achieving. 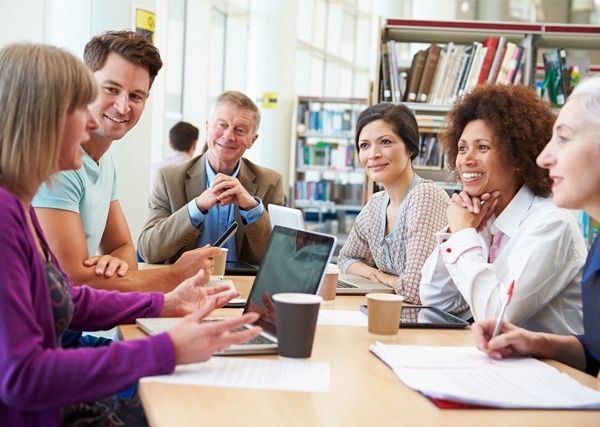 When CAP began its work in 2004, the founding members knew that program format and accessibility would be critical factors in serving adult learners. According to the January 2018 Gallup and Strada report, “Why Higher Ed? Top Reasons U.S. Consumers Choose Educational Pathways,” while the choice to pursue higher education is largely driven by career aspirations, institutional choice is primarily driven by constraints. Consumers’ main reasons for choosing a postsecondary institution are access and affordability. Accelerated programs answer this call by providing delivery formats specifically designed for the adult learner—in terms of both direct access, as well as curriculum development and delivery. When looking at the higher education landscape today, it is clear that postsecondary institutions must consider the evolving population of learners in their strategic planning. According to a special report published by The Chronicle of Higher Education in February 2018, "The Adult Student: The Population Colleges—and the Nation—Can’t Afford to Ignore," more than 80 million adults nationally have either graduated from high school but never attended college or started college but never earned a degree. Structural and cultural barriers often discourage adults from enrolling or from going back to finish. Students age 25 and older now constitute about 27 percent of all undergraduates nationally, but only one-third of private four-year colleges enroll them at that rate or higher. As I look back at the work CAP has done, and look forward with trends and research in mind, I can see that this critical focus on the adult learner must expand; our workforce and the health of our postsecondary institutions are relying on this. I am confident that accelerated programs will continue to be a very important part of the adult learner equation. If you are a professional working in one of these programs, I trust that you knew this all along. Do you want to learn how to use accelerated teaching and facilitation techniques? Do you want to discover new ways to support adult students? Register for our upcoming in-person Adult Learner Academy, coming up in Chicago from October 9 to 11. We're excited to feature Jeannie McCarron's perspective on the importance of accelerated programs when she joins us as a featured speaker at the 2018 CAEL International Conference in Cleveland, which runs from November 13 to 16. Register today to join like-minded colleagues who are also dedicated to balancing the adult learner equation.